A collaboration led by Dr. Shigeyuki Yokoyama of RIKEN and Dr. Takashi Kadowaki and Dr. Toshimasa Yamauchi of the University of Tokyo has used the SPring-8 synchrotron facility (photo) in Harima, Japan to elucidate the structure of two receptors for adiponectin, a protein that is associated with obesity and diabetes. The researchers hope that in the future this work, which was published in Nature on April 8, 2015, will pave the way toward designing drugs that target these two receptors, AdipoR1 and AdipoR2, to reduce the early mortality associated with diabetes. Adiponectin, a hormone secreted by fat cells, is known to be involved in the regulation of glucose and fatty acid oxidation. Its levels are reduced in patients with both type 1 and type 2 diabetes, and giving the hormone to mice has been reported to improve glucose intolerance. In addition, administration of a recently discovered adiponectin receptor agonist, AdipoRon, to genetically obese mice led to improved glucose intolerance and longer lifespans. Because adiponectin binds to two receptors, AdipoR1 and AdipoR2, Dr. Yokoyama, who leads the RIKEN Structural Biology Laboratory, and his team surmised that understanding how this binding takes place could contribute to the creation of drugs that target these receptors. Adiponectin receptors are evolutionarily conserved in many living beings, including mammals, plants, and yeasts, so it seemed clear that these molecules should play important biological role(s). Using the microfocus beamline at the SPring-8 synchrotron facility, the group obtained crystallographic images of the two receptors at resolutions of just 2.9 and 2.4 angstroms, and came up with a surprising finding. Scientists at The Scripps Research Institute (TSRI) in La Jolla, California have identified a molecule in the brain that triggers schizophrenia-like behaviors, brain changes, and gene expression alterations in an animal model. The research may give scientists new tools for someday preventing or treating psychiatric disorders such as schizophrenia, bipolar disorder, and autism. “This new model speaks to how schizophrenia could arise before birth and identifies possible novel drug targets,” said Dr. Jerold Chun, a Professor and member of the Dorris Neuroscience Center at TSRI who was senior author of the new study. The findings were published online on April 7, 2014 in an open-access article in Translational Psychiatry. The article is titled “LPA Signaling Initiates Schizophrenia-Like Brain and Behavioral Changes in a Mouse Model of Prenatal Brain Hemorrhage.” According to the World Health Organization, more than 21 million people worldwide suffer from schizophrenia, a severe psychiatric disorder that can cause delusions and hallucinations and lead to increased risk of suicide. Although psychiatric disorders have a genetic component, it is known that environmental factors can also contribute to disease risk. There is an especially strong link between psychiatric disorders and complications during gestation or birth, such as prenatal bleeding, low oxygen, or malnutrition of the mother during pregnancy. In this new study, the researchers studied one particular known risk factor: bleeding in the brain, called fetal cerebral hemorrhage, which can occur in utero and in premature babies and can be detected via ultrasound. In particular, the researchers wanted to examine the role of a lipid called lysophosphatidic acid (LPA), which is produced during hemorrhaging. 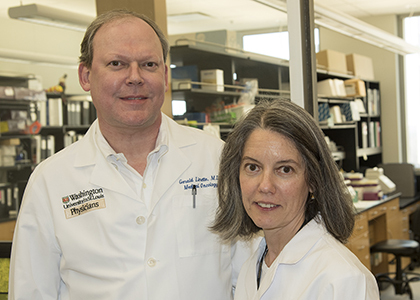 A cellular defect that can impair the body's ability to handle high glucose levels and could point the way to a potential new treatment for diabetes has been identified by Columbia University Medical Center (CUMC) researchers. The CUMC team found that ryanodine receptor type 2 (RyR2) calcium channels in insulin-producing cells play an important and previously underappreciated role in glucose balance. RyR2 channels control intracellular calcium release. When leaky, they were found to reduce insulin release from the pancreas, resulting in high blood sugar levels in a test that measures the ability to regulate glucose. The researchers also demonstrated, in a mouse model of diabetes, that these leaks can be stopped and glucose levels normalized with an experimental drug called Rycal. The findings were published online on April 6, 2015 in an open-access article in the Journal of Clinical Investigation. The article is titled, "Calcium Release Channel RyR2 Regulates Insulin Release and Glucose Homeostasis." "We've known that calcium in the pancreatic beta cells plays a significant role in regulating insulin secretion, but calcium levels were thought to be controlled largely by the entry of calcium into the cell," said senior author Andrew R. Marks, M.D., Professor and Chair of Physiology and Cellular Biophysics at CUMC. "It turns out that there's another mechanism in pancreatic beta cells that also controls calcium. This mechanism involves RyR2 channels, and leaks in these channels can lead to impaired glucose tolerance. Separating circulating cancer cells from blood cells for diagnostic, prognostic, and treatment purposes may become much easier using an acoustic separation method and an inexpensive, disposable chip, according to a team of engineers. "Looking for circulating tumor cells (CTCs) in a blood sample is like looking for a needle in a haystack," said Dr. Tony Jun Huang, Professor of Engineering Science and Mechanics at Penn State. "Typically, the CTCs are about one in every one billion blood cells in the sample." Existing methods of separation use tumor-specific antibodies to bind with the cancer cells and isolate them, but require that the appropriate antibodies be known in advance. Other methods rely on size, deformability, or electrical properties. Unlike conventional separation methods that centrifuge for 10 minutes at 3,000 revolutions per minute, surface acoustic waves can separate cells in a much gentler way with a simple, low-cost device. Acoustic-based separations are potentially important because they are non-invasive and do not alter or damage cells. However, in order to be effective for clinical use, they also need to be rapidly and easily applicable. "In order to significantly increase the throughput for capturing those rare CTCs, device design has to be optimized for much higher flow rates and longer acoustic working length," said Dr. Ming Dao, Principal Research Scientist, Materials Science, and Engineering, at MIT. "With an integrated experimental/modeling approach, the new generation of the device has improved cell sorting throughput more than 20 times higher than previously achieved and made it possible for us to work with patient samples." The researchers worked both experimentally and with models to optimize the separation of CTCs from blood. It is well known that bumblebees and other pollinators can tell the difference between plants that will provide them with nectar and pollen and those that will not. However, until now, little has been known about how the arrangement of flowers affects the pollinators’ decision-making. Researchers from the School of Biological and Chemical Sciences at Queen Mary University of London, taught bumblebees to distinguish between two visually clearly different feeder types, one type contained food, while the other did not. The researchers found that bees were able to quickly learn the feeder types containing food when the feeders were arranged horizontally. However, the bees failed to distinguish these feeder types when they were distributed vertically on a wall and significantly more often chose the wrong feeder type. The results were published online on March 6, 2015 in Behavioral Ecology. The article is titled “Bumblebees Utilize Floral Cues Differently on Vertically and Horizontally Arranged Flowers.” The researchers are certain that the bees were equally able to discriminate between the two presented feeders in both arrangements, but simply chose not to waste the brain power doing so on vertically arranged feeders. They believe that this is because in a meadow typically rewarding and unrewarding flowers of different species grow side-by-side and bees benefit from visiting only flowers similar to the ones that have previously rewarded them. In contrast, vertically clustered flowers, such as on flowering bushes or trees, the flowers in the arrangement are typically the same and paying close attention to the flower features may not be needed. Dr Stephan Wolf, co-author of the research, said: “This is a rare example of a pollinator being able to tell the difference between different flowers, but simply choosing not to do so. Massachusetts General Hospital (MGH) investigators have identified an inflammatory molecule that appears to play an essential role in the autoimmune disorder systemic lupus erythematosus (SLE), commonly known as lupus. In their report, which was published online on April 6, 2015 in Nature Immunology, the researchers describe finding that a protein that regulates certain cells in the innate immune system - the body's first line of defense against infection - activates a molecular pathway known to be associated with lupus and that the protein's activity is required for the development of lupus symptoms in a mouse model of the disease. "This study is the first demonstration that the receptor TREML4 amplifies the cellular responses transmitted through the TLR7 receptor (toll-like receotor 7) and that a lack of such amplification prevents the inflammatory overactivation underlying lupus," says Terry Means, Ph.D., of the Center for Immunology and Inflammatory Diseases in the MGH Division of Rheumatology, Allergy, and Immunology. "Our preliminary results suggest that TREML4-regulated signaling through TLR7 may be a potential drug target to limit inflammation and the development of autoimmunity." Lupus is an autoimmune disorder characterized by periodic inflammation of joints, connective tissues, and organs, including heart, lungs, kidneys, and brain. TLR7 is one of a family of receptors present on innate immune cells like macrophages that have been linked to chronic inflammation and autoimmunity. Animal studies have suggested that overactivation of TLR7 plays a role in lupus, and a gene variant that increases expression of the receptor has been associated with increased lupus risk in human patients. The current study was designed to identify genes for other molecules required for TLR7-mediated immune cell activation. The progressive wasting of muscle and fat tissue throughout the body is one of the most visible and heart-breaking manifestations of cancer, yet little is known about how tumors cause distant tissues to degenerate. Two independent studies published in open-access articles in the April 6, 2015 issue of Developmental Cell reveal that a tumor-secreted molecule called ImpL2 drives the loss of fat and muscle tissue in fly cancer models that replicate key features of tumor-induced wasting in humans. The findings could lead to the development of much-needed targeted therapies for wasting syndrome in cancer patients. "Many cancer patients die, not because of the local effects of tumors, but rather from more broad, systemic changes to the entire body that are induced by these tumors. One of the worst of these long-range effects is wasting syndrome, also known as cachexia, which is a major obstacle to cancer treatment," says developmental biologist Dr. David Bilder of the University of California, Berkeley, one of the study authors. "The two new studies illustrate the power of using simple model organisms to provide new insights relevant to the most important questions of human cancer biology." About 20% of cancer deaths are due to cachexia, which mostly affects patients with advanced cancer, making them too weak for some types of chemotherapy and radiation therapy and more susceptible to the toxic effects of chemotherapy. An increase in food intake does not fully reverse tissue loss, and available therapies are so limited that the National Cancer Institute highlighted cachexia as a perplexing problem that has slowed progress against cancer. To tackle the complexities of cancer cachexia, two independent research teams. One consists of Dr. Bilder and Dr. There are few times in life when one should aim for suboptimal performance, but new research at Rice University in Texas suggests scientists who study metabolism and its role in evolution should look for signs of just that. A study published online on April 3, 2015 in an open-access article in BMC Systems Biology details a computational method called corsoFBA. FBA stands for flux balance analysis and the program predicts internal cell flux -- the rate at which cells process and store energy -- at what researchers call suboptimal growth. The ultimate goal of the study is to discover how organisms, including humans, adapt to changing environments, including the body's response during exercise. The method allows researchers to model how metabolic pathways, chains of chemical reactions in the cells of all living beings, will react in the presence or absence of certain conditions, like the availability of oxygen or the acidity of the environment. It does so by measuring how a cell spends its fixed energetic resources -- its protein cost -- to preserve flux in more than one pathway. The work springs from the mind and talents of a Rice graduate student André Schultz who spent years training his body for absolutely optimal performance. Schultz is a former member of the Brazilian national swim team who trained alongside U.S. Olympic legend Michael Phelps at the University of Michigan. As an undergraduate there, Schultz divided his time between competitive swimming and academics, particularly his love for mathematics. At Rice, where he is a student of bioengineering in the laboratory of co-author Amina Qutub, Ph.D., Schultz turned his attention to biophysics, specifically mathematical models of metabolic pathways. 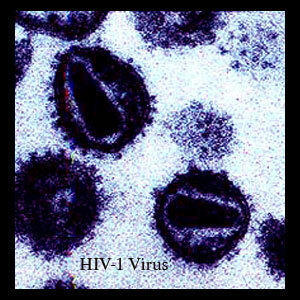 People undergoing treatment for HIV-1 have an increased risk for earlier onset of age-related illnesses such as some cancers, renal and kidney disease, frailty, osteoporosis and neurocognitive disease. But is it because of the virus that causes AIDS or the treatment? To answer that question, researchers at the UCLA AIDS Institute and Center for AIDS Research and the Multicenter AIDS Cohort Study (MACS) investigated whether the virus induces age-associated epigenetic changes -- that is, changes to the DNA that, in turn, lead to changes in expression of gene levels without changing the inherited genetic code. These changes affect biological processes and can be brought on by environmental factors or by the aging process itself. In a study published online on March 25, 2015 in an open-access article in PLOS ONE, the researchers suggest that HIV itself accelerates these aging-related changes by more than 14 years. "While we were surprised by the number of epigenetic changes that were significantly associated with both aging and HIV-infection, we were most surprised that the data suggests HIV-infection can accelerate aging-related epigenetic changes by 13.7 to 14.7 years," said Dr. Beth Jamieson, Professor of Medicine in the Division of Hematology/Oncology at the David Geffen School of Medicine at UCLA and one of the study's senior authors. "This number is in line with both anecdotal and published data suggesting that treated HIV-infected adults can develop the diseases of aging mentioned above, approximately a decade earlier than their uninfected peers." The researchers examined samples of white blood cells stored by UCLA's MACS site, which has been collecting biological samples as well as clinical, behavioral, and socioeconomic data on men infected with HIV and men at risk for HIV infection since 1983. Personalized melanoma vaccines can be used to marshal a powerful immune response against unique mutations in patients’ tumors, according to early data in a first-in-people clinical trial at Washington University School of Medicine in St. Louis (WUSL School of Medicine). The tailor-made vaccines, given to three patients with advanced melanoma, appeared to increase the number and diversity of cancer-fighting T cells responding to the tumors. The finding is a boost to cancer immunotherapy, a treatment strategy that unleashes the immune system to seek out and destroy cancer. The research was reported first online on April 2 in Science Express, and is also part of the April 3, 2015 special issue of Science magazine devoted to “Cancer Immunology and Immunotherapy.” The WUSL-led article is titled “A Dendritic Cell Vaccine Increases the Breadth and Diversity of Melanoma Neoantigen-Specific T Cells.” This article is accompanied by a Science editorial entitled “Neoantigens in Cancer Immunotherapy.” In a new approach, the cancer vaccines were developed by first sequencing the genomes of patients’ tumors and samples of the patients’ healthy tissues to identify mutated proteins called neoantigens unique to the tumor cells. Then, using computer algorithms and laboratory tests, the researchers were able to predict and test which of those neoantigens would be most likely to provoke a potent immune response and would be useful to include in a vaccine. The vaccines were given to melanoma patients who had had surgery to remove their tumors but whose cancer cells had spread to the lymph nodes, an indicator the deadly skin cancer is likely to recur. These clinical findings set the stage for a phase I vaccine trial, approved by the Food and Drug Administration as part of an investigational new drug application.